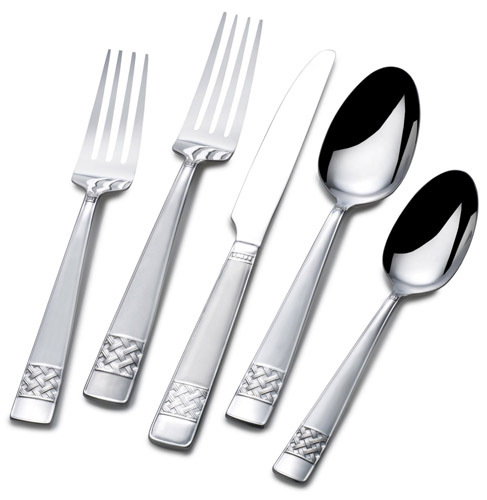 International Silver has been around since 1898 creating cutlery. No, this isn’t silver but 18/0 stainless steel which places this set in any modest budget. The 20-piece flatware service for four consists of four dinner forks, salad forks, dinner spoons, teaspoons, and knives. International Silver Carlisle Stainless Steel Flatware has a lifetime limited warranty. There have been some complaints above build up of crud in basket weave band on the handle and some rusting issues. This probably due to over crowding in the dishwasher. Please people, alternate cutlery up and down and keep them separated.